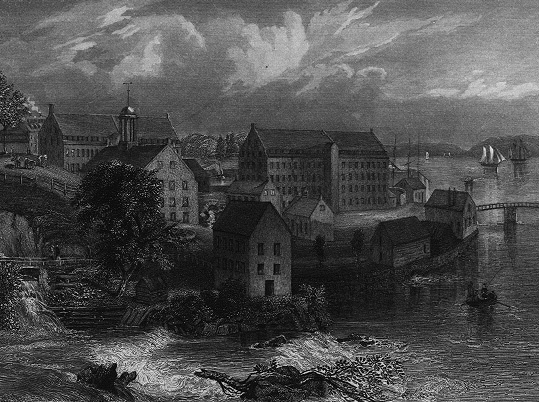 View of the York Factories in Saco, Maine, ca. 1840. Frontispiece of James Montgomery. A Practical Detail of the Cotton Manufacture of the United States of America…. Glasgow: J. Niven, 1840. Binding of J. D. Van Slyck. 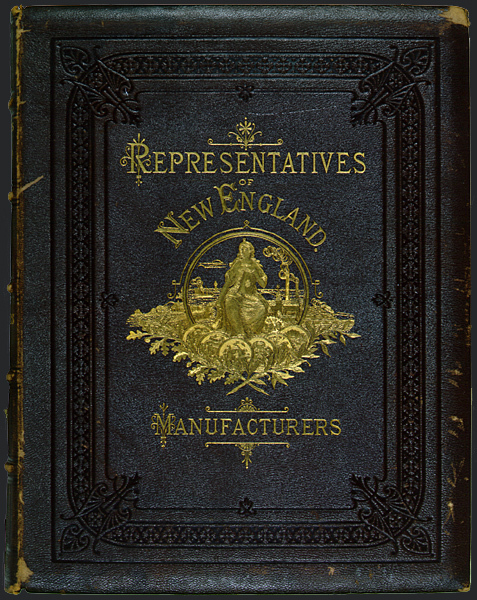 Representatives of New England: Manufacturers. 2 vols. Boston: Van Slyck and Co., 1879. 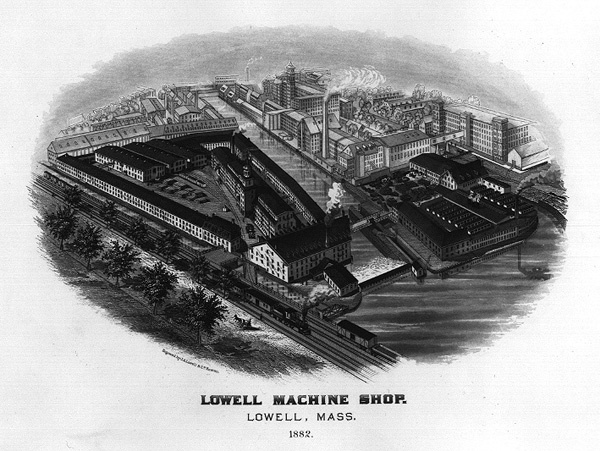 Frontispiece of Lowell Machine Shop. The Lowell Machine Shop, Lowell, Mass. 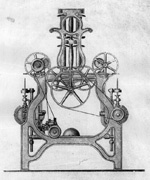 : Builders of Cotton Machinery of Every Description. Lowell, Mass. : Stone, Bacheller & Livingston, 1882. Trade catalog. 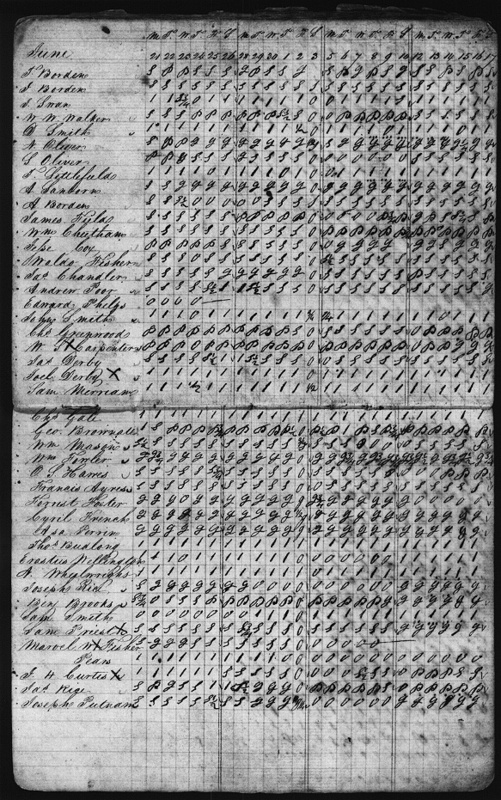 Time book of Boston Manufacturing Company employees for the year 1848. 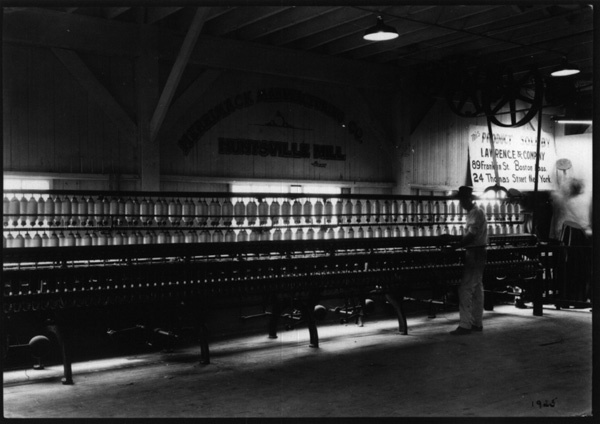 Photograph of a ring spinning frame manufactured by Merrimack Manufacturing Company, 1925.